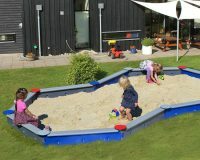 This is where children bake and build and bulldoze. 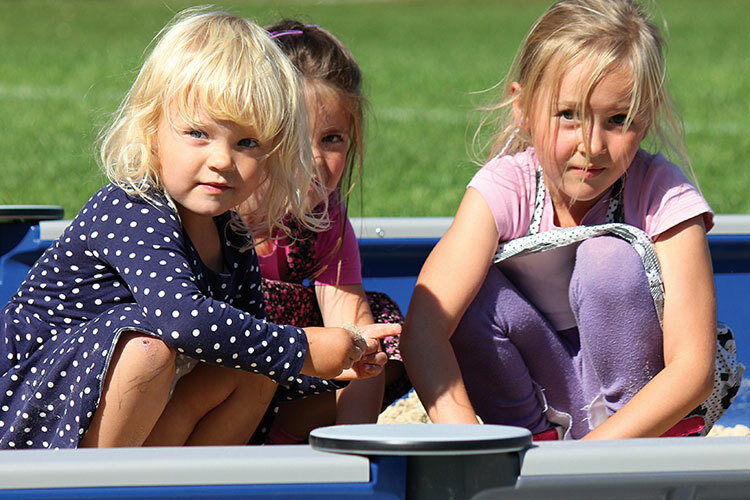 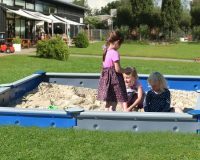 In a sandbox, there is room for everyone and everything – and no matter what age: cakes and castles, tunnels and buried mummies are always soooo popular. Playing with sand is not only fun, it’s also important for our children’s development. 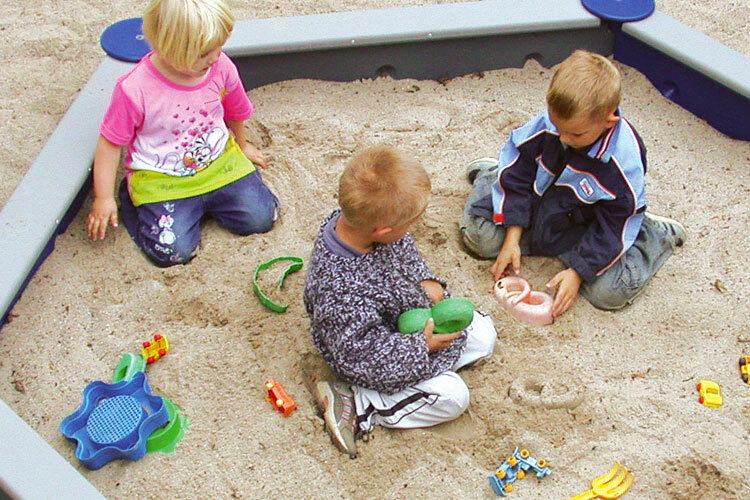 Playing with sand is good for your tactile sense, for fine motor skills, for creativity and last, but not least for both playing by yourself and with others. 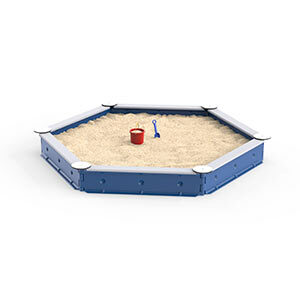 No two sandboxes need to be the same. 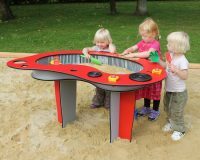 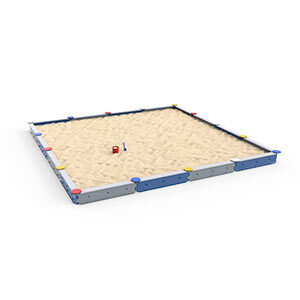 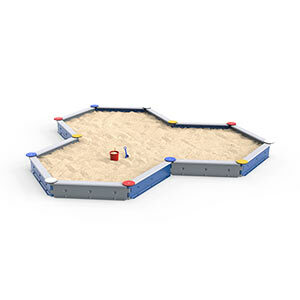 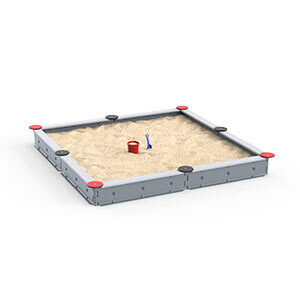 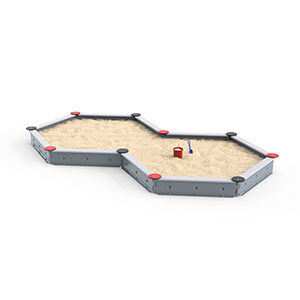 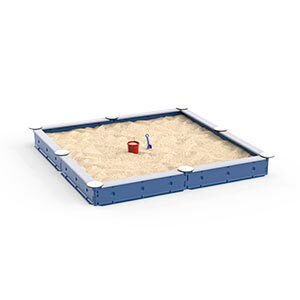 At LEDON, we offer flexible module systems that allow you to build a sandbox that matches your needs regarding both size and shape – you will almost feel like a child yourself again! 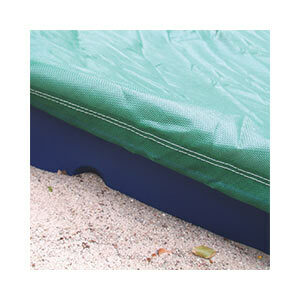 Once you have chosen size and shape, that was not the end of it. According to how your needs develop, you can always alter and enlarge the existing sandbox. 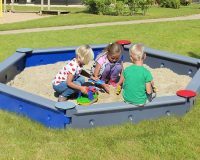 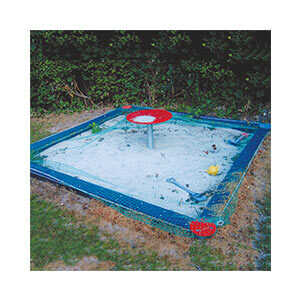 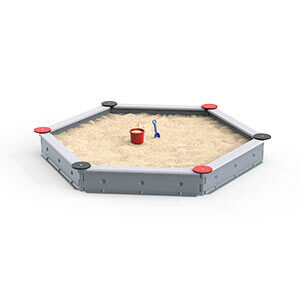 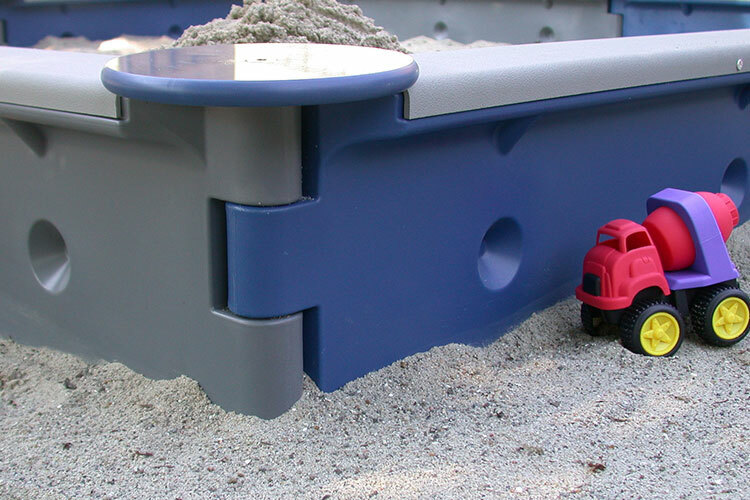 All horizontal surfaces on LEDON’s sandboxes are coated with skid-proof rubber to make sure the children don’t slip in wet weather. 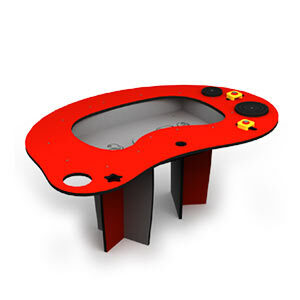 The spray cast plastic elements are available in grey and blue, everything is maintenance-free.